Far from any major city, a 43-mile-long mountain road winds its way through Logan Canyon, which connects the town of Logan with the shores of Bear Lake. The canyon accesses countless hiking paths, rock climbing routes, mountain biking trails, skiable acres, campsites, and secluded fishing spots. 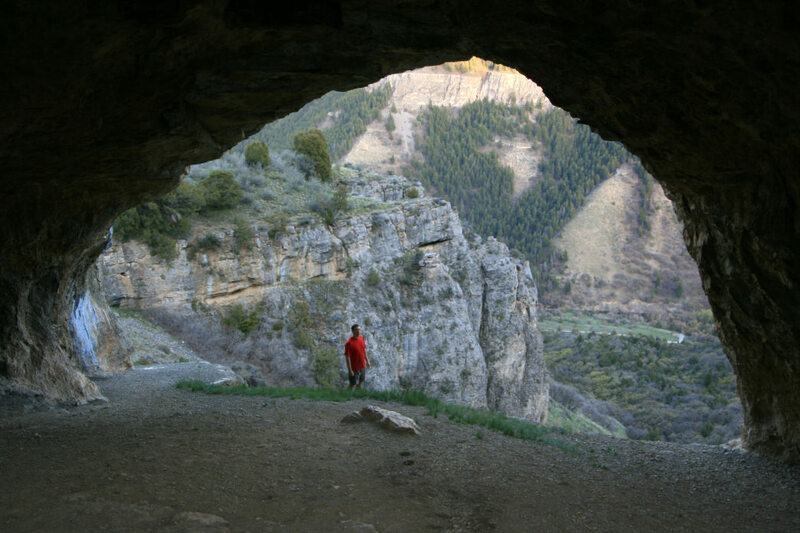 It’s the kind of place you could spend decades exploring—but even if you have only a weekend or a season, take the chance to get to know Logan Canyon’s treasures. There’s little development within the canyon—just a small, family-owned ski resort, an overnight lodge, and a smattering of cabins and yurts. So there’s plenty of elbow room to go around. Here we’ll share a few of our favorite ways to enjoy the canyon—but keep in mind, there are secret powder stashes and perfect places to pitch a tent you’ll have to find for yourself too. There are so many hiking trails in the canyon that it’s easy to find something to suit your group’s ability level or interests of the day. 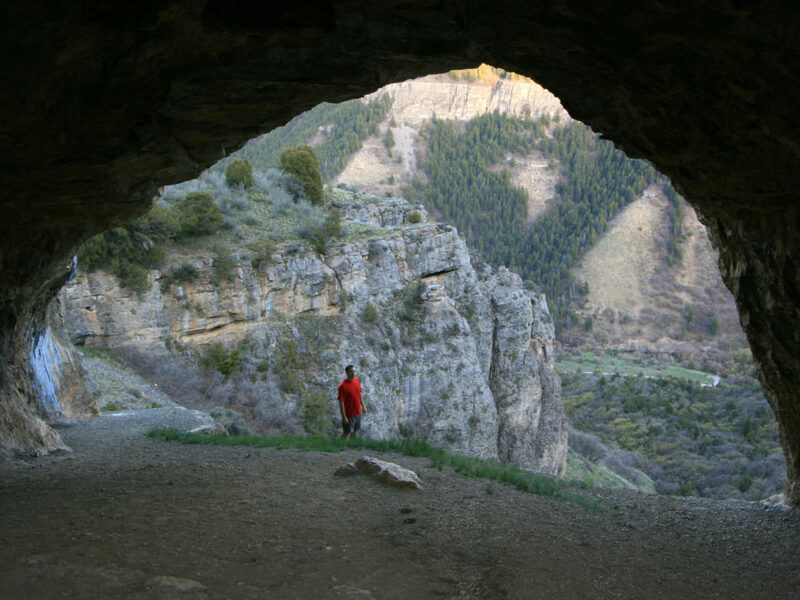 Families undertake the classic Wind Cave trail, a two-mile walk up to some incredible rock caverns far up the hillside. Those interested in a higher alpine experience—and a little more mileage—head to the White Pine Lake trail. It’s about four miles each way and tops out at a stunning little mountain lake surrounded by picturesque peaks. A mountain biking mecca, this canyon has something at nearly every difficulty level. You’ll need a full guidebook to process all the options and directions—but to start with, Beaver Creek is perfect for beginners and families. It’s essentially a dirt road that stretches on for as many miles as you care to go, passing through gorgeous meadows and groves. Those with a little more experience should try the must-do trail, the Jardine Juniper Trail. 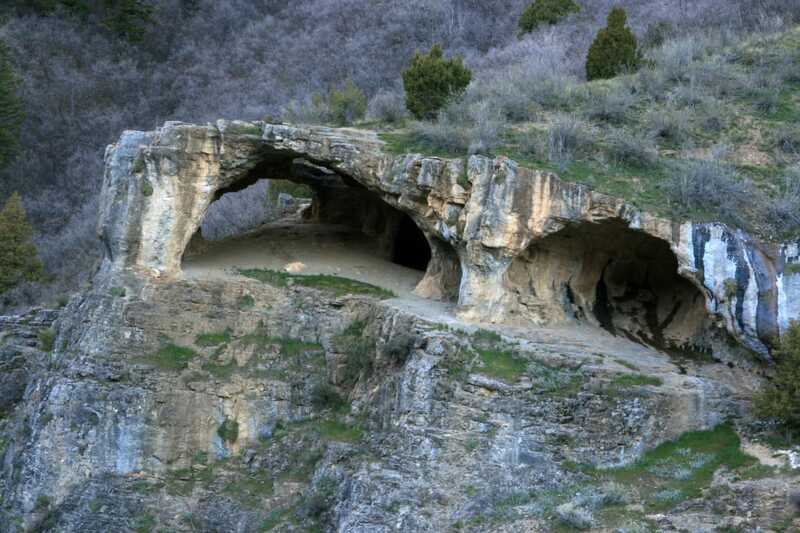 It’s a moderate climb through pristine mountain terrain, topping out at Utah’s oldest tree, a 3,200 year-old juniper. The canyon is home to dozens of rock walls with more than 400 sport and trad routes—many of which are classics. They vary from extremely easy to ridiculously challenging, and they draw climbers from all over the country (as well as from the college town below). China Wall is an extensive limestone wall with dozens of routes to test any climber’s mettle. And First Practice Wall and Second Practice Wall offer easier and top-ropable options for those still easing into it. Beaver Mountain, high up in the canyon, is beloved by locals and savvy ski bums alike. It’s a no-frills, family-run resort where beginners cluster on the bunny hill—but the steeper terrain remains untracked for hours or days after a storm. The Marge’s Triple lift on the far edge of the resort offers tree glades aplenty. And the potential for backcountry skiing here is unreal: the famed "backside of The Beav" offers lift-accessed backcountry powder runs for those with the avalanche gear and know-how to pull it off safely. If a little more power is your style, rent snowmobiles across the highway and experience 300 miles of groomed trails in one of the top 10 snowmobiling destinations in the West. Fly-fishing aficionados flock to the Logan River, a blue-ribbon trout stream hailed as one of the best in the region. The lower dams in the canyon are stocked and make easy summer fishing spots, with brown and rainbow trout aplenty. 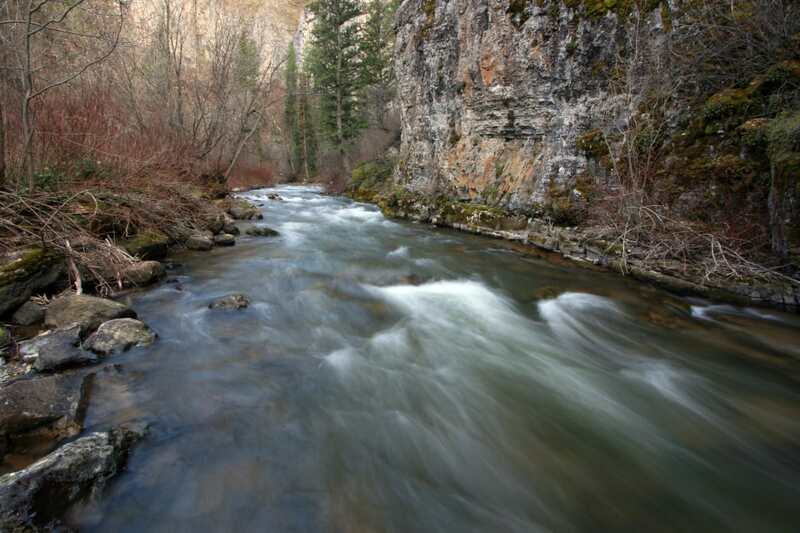 But farther up canyon, the stream feels wilder—with clear, pristine water and cutthroat trout for the catching. There are multiple developed campgrounds in the canyon, including Spring Hollow Campground, the Lodge Campground, and Tony Grove Campground. All are stunning in their own right and offer great access to hiking and biking trails. Tony Grove is high elevation and stays plenty cool in the summer months, making it a godsend in July and August. 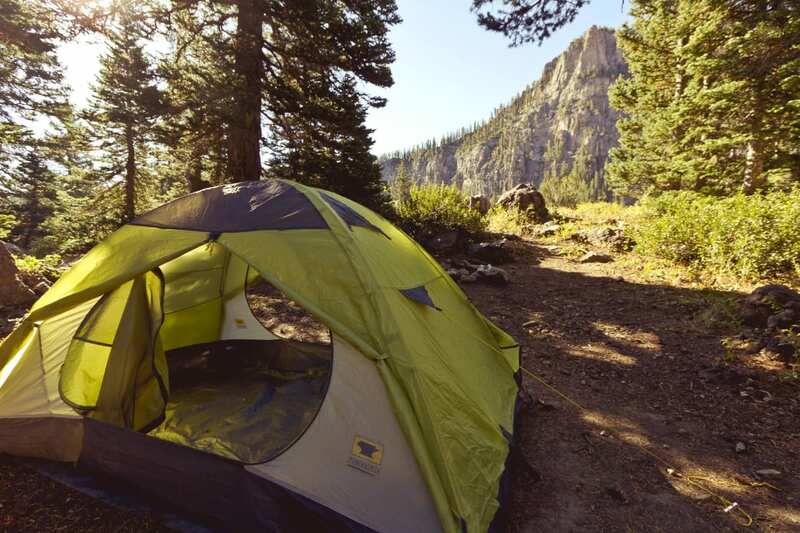 Of course, if tent camping isn’t really your thing, you could always get a room at Beaver Creek Lodge. Not only will you snag a cozy bed, but you’ll have access to the lodge’s guided horseback and off-road side-by-side RZR rides in summer and snowmobile rides in winter. We’ve only scratched the surface here with a tiny handful of place mentions—they’re a few of the high points, but plan to spend some time truly getting to know this incredible canyon. Its beauty and uncrowded nature are tough to beat any time of year.